Sometimes a week does not good bye in which I am told “thank you for your service.” At first I know the obvious reason that those statements are made to me. I have a physical disability. But the other reason is that I have a key chain lanyard I wear around my neck that promotes the US Navy. After being told “thank you for my service,” I go on to explain that I lost my limbs as a youth. Then I explain that I have a brother that is currently in the US Navy, in which I wear the lanyard to remember to keep him and all out troops in my thoughts and prayers. However, this day is not only an opportunity to say thank you to my brother and all my family members that have served but also all the Veterans from all the Armed Forces that continue to serve today. I not only want to honor the soldiers we no longer have but especially the soldiers that have returned and have a physical disability or a service related injury. 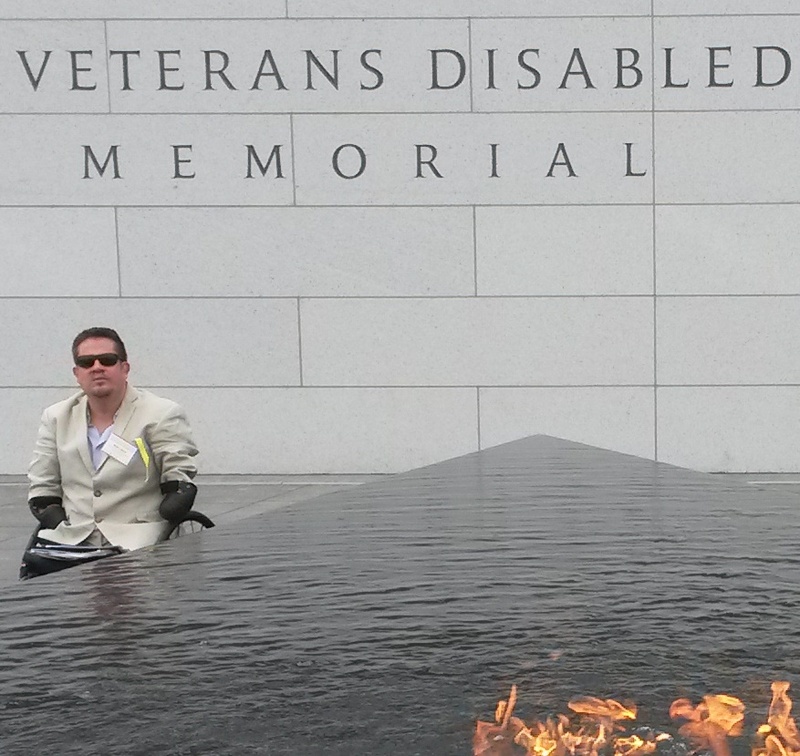 There are approximately 3.5 million veterans with a service-connected disability rating. Of this number, over 800 thousand have a rating of 70 percent or higher. This is a large population that needs to see and know our commitment to them. With 57 million people with disabilities in the US, it is so important that we change the view on sedentary behavior that is associated with people with disabilities. This starts with establishing facilities and programs that look to provide physical fitness, exercise, and competitive sport opportunities. Furthermore, we must look to change the societal attitude that still views people with disabilities as not able to work, exercise, or to live independently. How can you help? What is going on in your neighborhood? Do you have curb cuts in your neighborhood? How could a person who uses a wheelchair participate in community events, exercise, and activities if there are no curb cuts to use? What about community facilities? Are there accessible entrances or equipment to use? What about staff that work at the facility? Has the staff received disability awareness training? The most discouraging barrier for participation in an activity is for staff to not be aware of person first language. It can be difficult to embrace a culture of people if you don’t take the time to know the language. At the end of the day our servicemen and women with disabilities deserve more from US citizens in this country than to be viewed as second class status and patronized with a few kind words. If we truly want to honor all our veterans who have sacrificed, then now is the time to become aware of these issues. What is stopping you from educating yourself and your community? There is still so much to be done. We’ve only just begun. Your help is needed. How great it would be for a veteran to thank you for your service. Having a disability, it doesn’t mean that life has no other way and just going to end. There should provide an opportunity and better support for disabled people physically as well as mentally in their society, area, city and country. Hence they stand up again with motivation, be ready to start a new life and face challenges with family and friends. I am new to this site, and want to thank you from the bottom of my heart for your article! You, sir, are a hero to me! I used to feel guilty going to the V.A because I DO have all of my limbs, but stories like yours have made it clear to America that not all injuries are visible. I have all my limbs, but a large part of my mind was left in countries far away from America; I have severe PTSD. The 2 herniated & 2 bulging discs in my back, and the flat spot on top of my right hip from jumping out of airplanes are invisible too, but they affect me to the point that I can barely stand up straight or walk at times. Thank You for your dedication to your brother; who is also MY brother (in arms), and for being dedicated to those of us that have the HONOR of serving this great country. If you don’t mind, I have now adopted you as my brother as well!